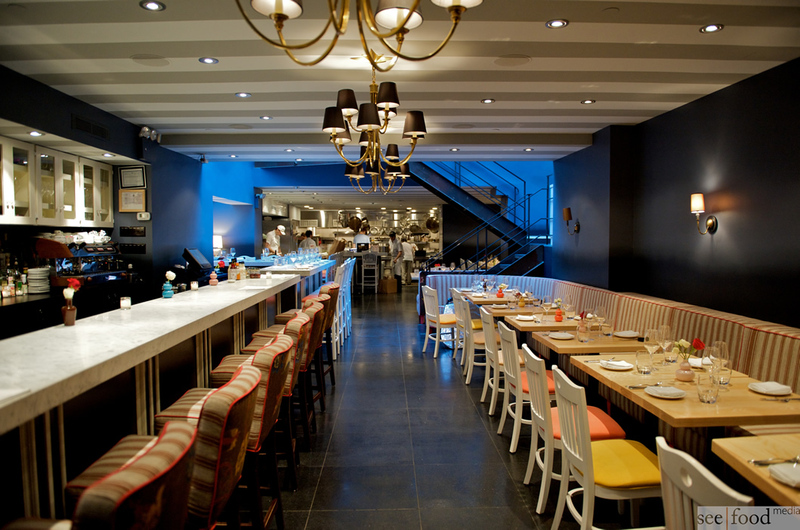 L’artusi is one of those great West Village restaurants. You know the ones I’m talking about. Great music. Great Atmosphere. Great Food. And I can’t put enough emphasis on great, which makes it the perfect setting for just about any occasion. The music is fun for a birthday but not too loud for a date. That balance is key! The space is as exquisite as it is extensive; you can sit downstairs near the bar, in the backroom by the open kitchen, or upstairs near the wine cellar. And most importantly, the food is heavenly. L’artusi even knows their food is stellar. Their tagline is “L’arte di mangiare bene” which means “The art of eating well.” Now, that kind of confidence really gets me going. But it’s not just talk; L’artusi can walk the walk. Their food is always special. My love for L’artusi only grows with each and every visit. And this most recent visit was no exception. To start, we ordered the Dayboat Scallop Crudo. 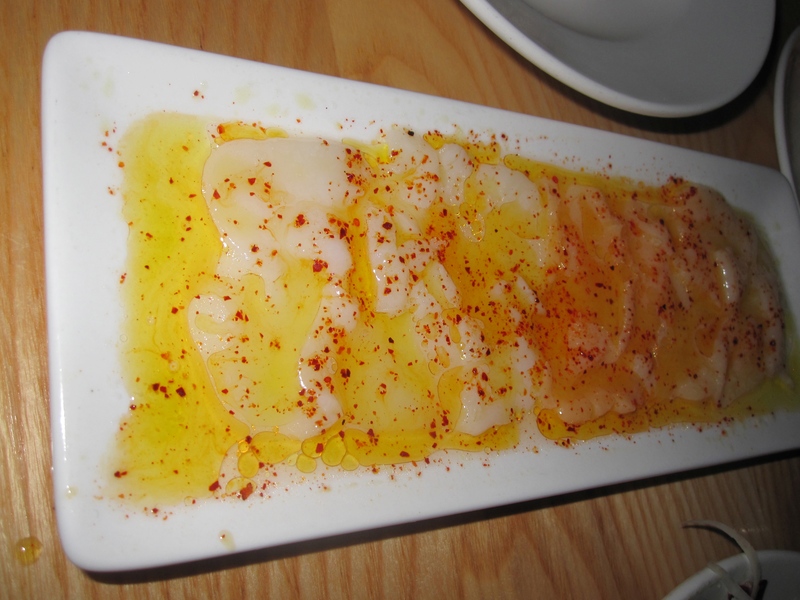 The crudo was dressed in sea salt, olive oil, lemon and espelette. Espelette is dried red pepper powder, similar to paprika. This dish is light and airy with a hint of earthiness from the smoky espelette and spicy olive oil. 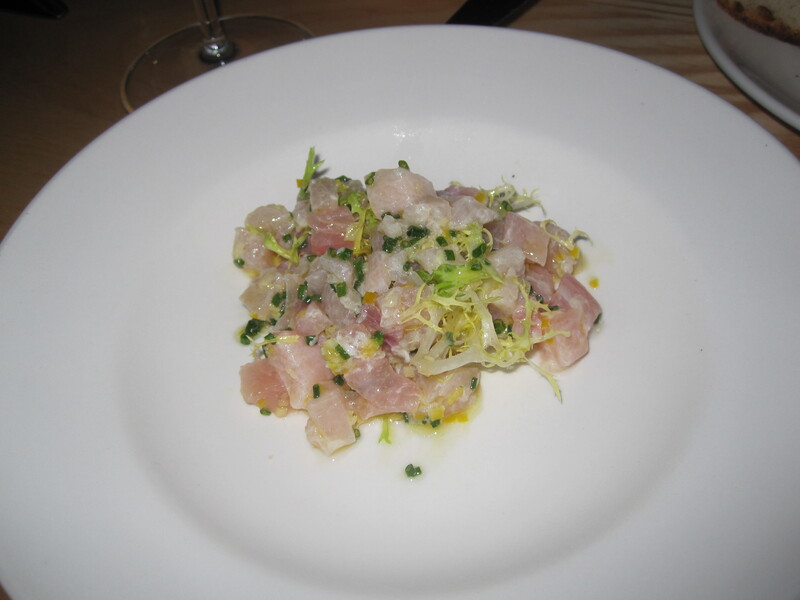 The Hamachi Tartar is one of my favorite appetizers. The hamachi is paired with lemon, chives and ginger to create a refreshing dish. These flavors play together so nicely. This dish will stimulate your palette without leaving you in need of a palette cleanser. The Panzanella salad was a no-brainer. I mean, how can anyone turn down pancetta, tomato, watermelon and basil? Panzanella is usually a salad of bread and tomatoes, but I didn’t miss the bread one bit. 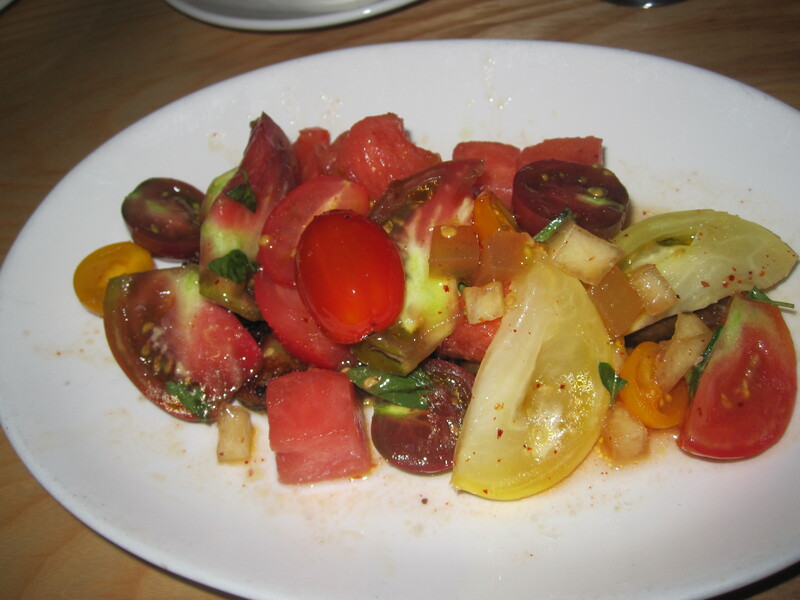 The watermelon was crisp, the heirloom tomatoes were juicy, the basil was sweet and the pancetta was salty. I would be doing this pancetta an injustice to just call it salty, though. The pancetta was thick cut, almost like a spare rib. It was delicate but rough. This is how pancetta is meant to be served. 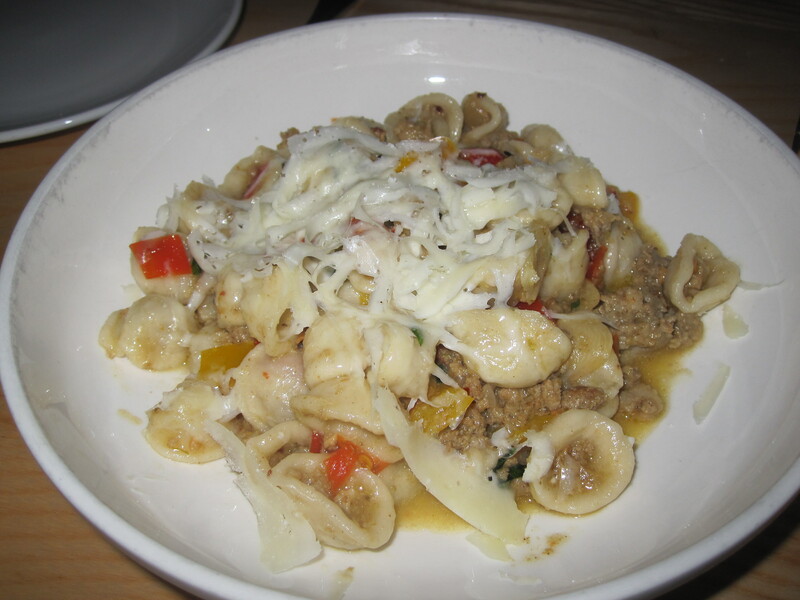 The Orechiette, which means “little ears” in Italian, are the perfect vehicle for the spicy sausage ragu. The peppers and basil add a touch of sweetness, which is topped off with creamy parmesan cheese. The special pasta, which was homemade Fettuccine with portobello mushrooms, egg yolk, and shaved parmesan cheese, was sensual. 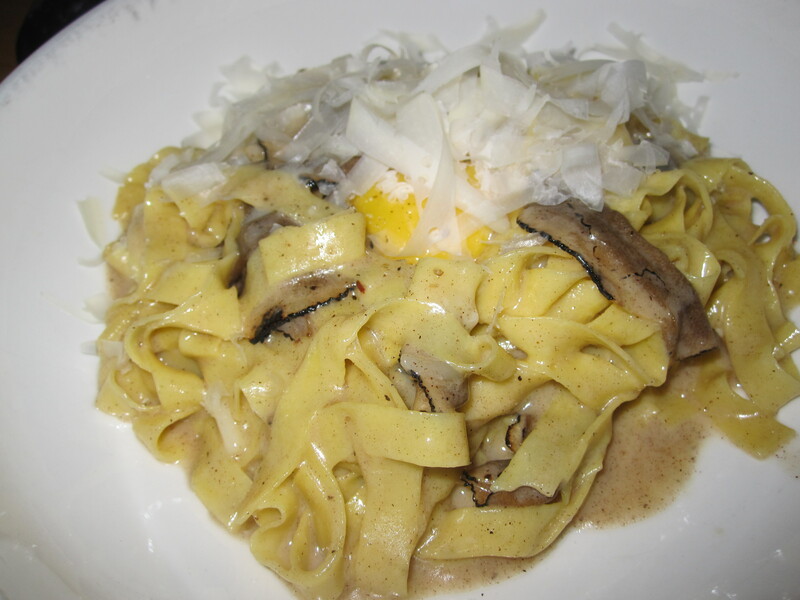 The pasta and mushrooms were light, while the egg yolks and cheese were creamy. 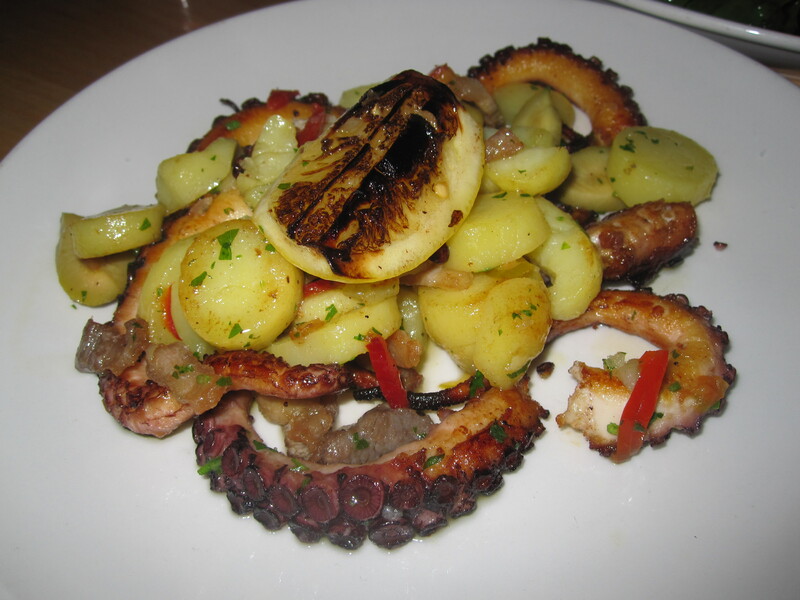 Charred Octopus is one of my favorite things to eat, if cooked properly. It’s not an easy dish to cook, but L’artusi knows how to do it well. The meat is actually meaty and tender. It is paired with simple baby potatoes, chilies, olives and pancetta. The potatoes absorb the salty flavors from the olives and pancetta which offsets the smoky flavor from the grill. I don’t usually order steak in an Italian restaurant. It’s like ordering a bagel at the diner. Sure, the diner has bagels, but you know the bagel store has better ones. 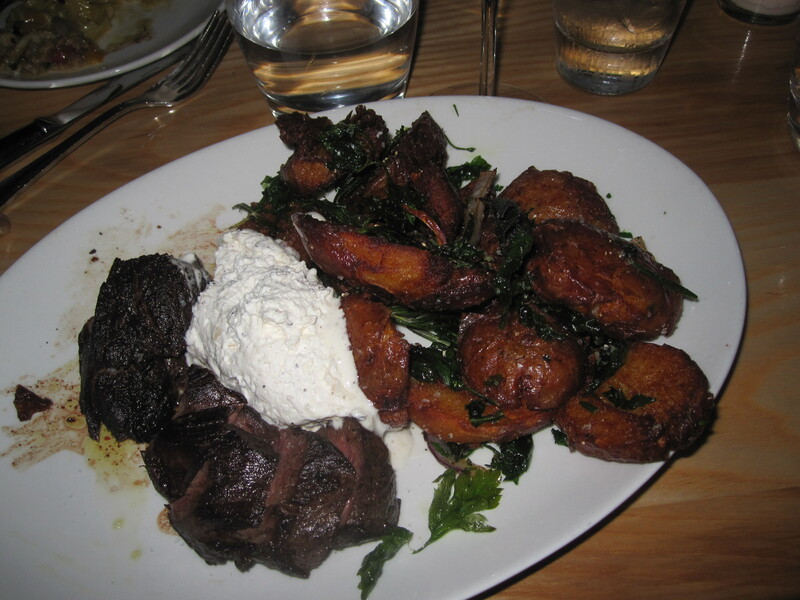 I hate to be proven wrong, but boy am I glad we ordered the steak at L’artusi. The steak was cooked to a perfect medium, with charred crust and tender meat. It was served with a creamy salsa blanca and crispy potatoes. So, I’ll leave you with this: L’arte di mangiare bene. If eating well is an art form, and we all know it is, then L’artusi is the Met. Luckily, you don’t have to buy tickets to visit this exhibit. This entry was posted in Restaurant and tagged Date Spot, Italian, Open Kitchen, West Village. Bookmark the permalink. I HAVE BEEN L’ARTUSI AND I TOTALLY AGREE WITH YOU . IT IS FABULOUS . GREAT RESTAURANT REVIEW . you are the best blogger ever! im so in tune with your reviews. Go Bite Sized or go home! Thank you Paul! Love the love!